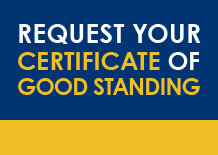 A Certificate of Good Standing is issued by the state and shows proof that you are eligible to do business in the state. These certificates are also known as “Certificate of Existence” and “Certificate of Authorization”. This formal document shows that your business has met the requirements in the jurisdiction in which your company was formed. A Certificate of Good Standing is issued by the state showing that your company has met the required filings at the Secretary of State.